Used For: The remedy is applied to reduce fevers, induce menstruation and boost urination. Plant’s fresh juice acts mildly on the urinary tract. According to ancient herbal books, the plant was applied for anemia and bowel disorders. Though it was very popular some centuries ago, nowadays its application is quite rare. Additional Info: Brookline belongs to perennials, and can be found in moist areas, like ditches and streams. The thick stem appears from a complex rhizome and may reach one and a half feet in height. The leaves are of elliptical shape. 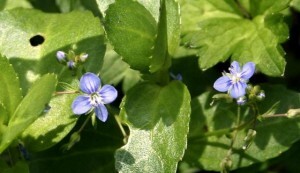 The plant blossoms in the summer period with blue-colored flowers. Preparation and Intake: The normal dose taken is from 1 to 3 teaspoons thrice a day. Aided by milk in case of gastritis. Safety: There is no data concerning the plant’s safety level. Its uses are historical in abundance.